Hi! Today I have a fun post for you. Me and the amazing Abigail over at Polished Dreams (or @polisheddreams_ on Instagram) have been planning a twin mani for some time, and have finally got round to it. We decided on a graffiti mani using several of the images on Lina Nail Art Supplies Make Your Mark plate 01. 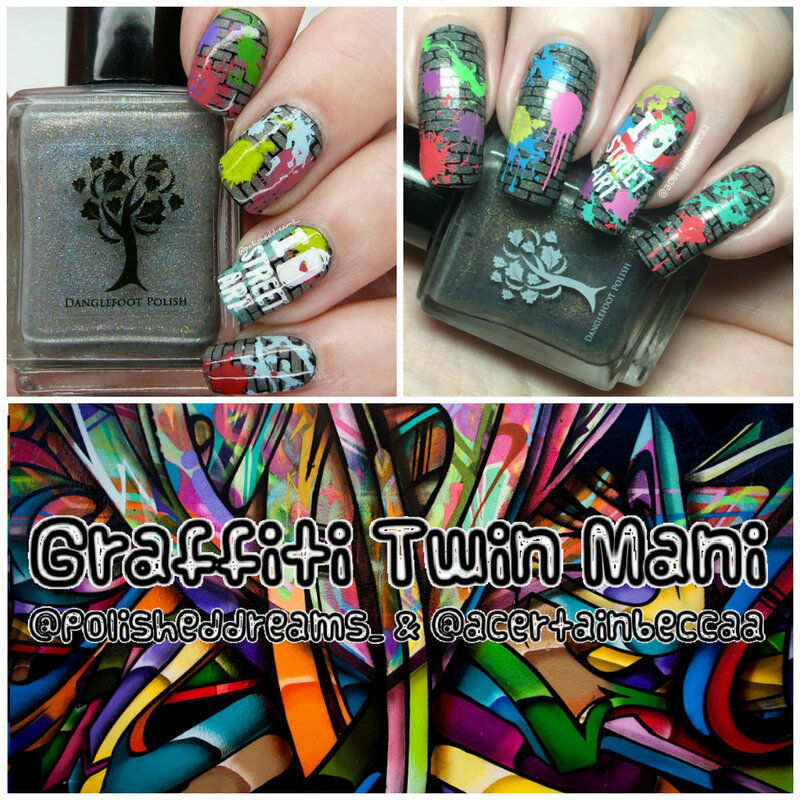 Read on for a closer look at my mani and more info! We both started with a base of Danglefoot Nail Polish 'Hello Dearie', a grey holographic with green flakes and a gold shimmer. 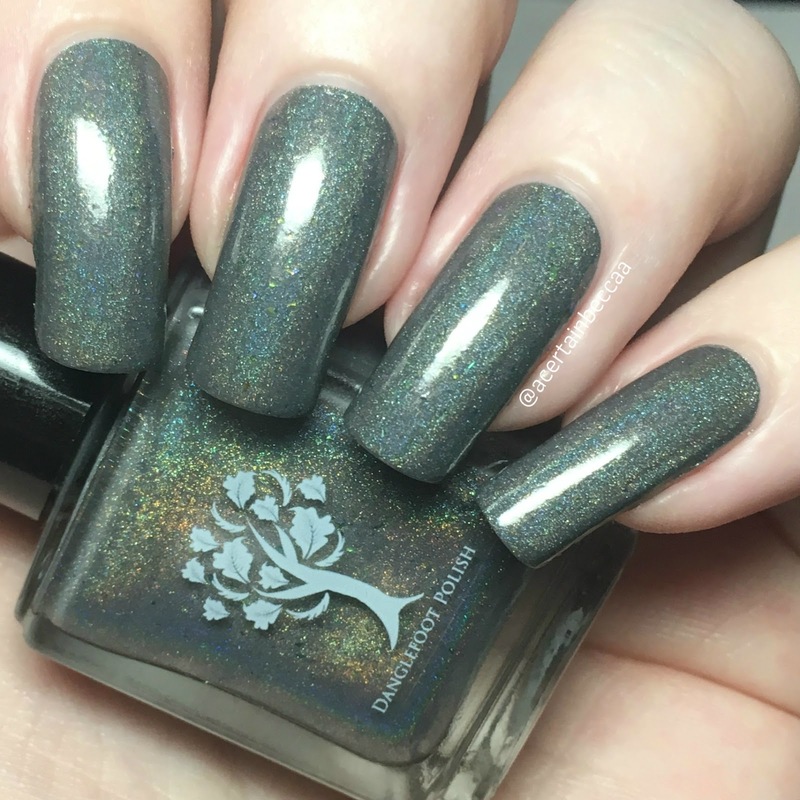 This was part of the Once Upon A Time duo that I collaborated with Hayley to create (full post and swatches here). Below is two coats without topcoat. 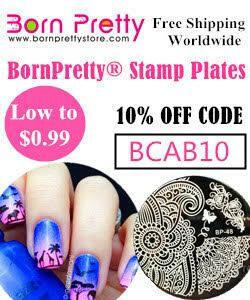 As mentioned, we used Lina Nail Art Supplies Make Your Mark plate 01 to add our graffiti. We started off by stamping the brick pattern in black. 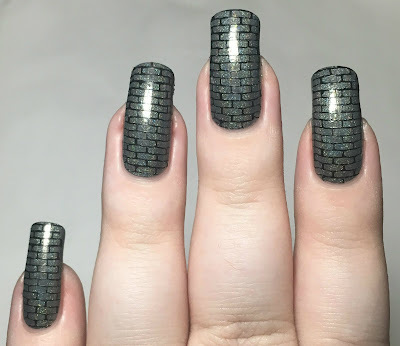 I used Hit The Bottle 'As Black As Night', and stamped over each nail. We then stamped the various splatter and drip patterns randomly using a range of different colours. I used MoYou London 'Cool Pool', 'Orchid Chic', and 'Turquoise Mint', Esmaltes Da Kelly 'Bruce', 'Ulli', and 'Kiki', and Sally Hansen 'Lightning'. To finish off, we stamped the 'I <3 Street Art' image onto our ring fingers. I used MoYou London 'White Knight'. What do you think? I really love how they came out. 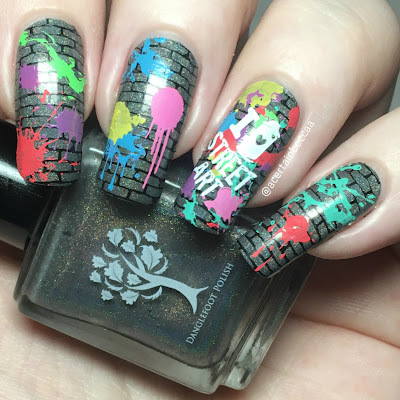 Plus it's always fun to do a bit of a messier mani! There are endless combinations of colours and patterns using Lina's Make Your Mark plates, they're definitely my favourite set at the moment. Make sure you go and have a look at Abigail's fantastic mani here. 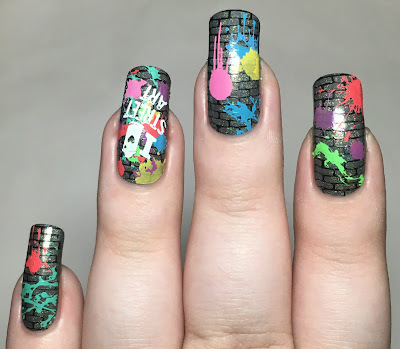 I love these nails and think the theme is so different. It's nice to see you both trying something together too.